Explore the opportunities and challenges of meditation for educators and the classroom. Get some tools for your self-care toolkit and try them out on the spot in this session. Be ready to move, breathe, think, laugh, play, and be gentle with yourself. Bonus: head back to your classroom with strategies for your students. How do we hire great teachers? This workshop will walk participants through the process we used to create an alternative approach to hiring--one that is based on our interest in the Maker movement. Participants will have an opportunity to evaluate their own hiring practices and to collaborate with colleagues from around the nation to reshape the way that they attract and retain top talent. 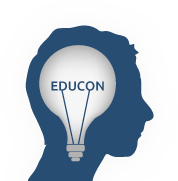 What constitutes an entrepreneurial mindset in education? This highly interactive session will ask participants to unpack and apply terms like "entrepreneurship", "innovation" and "mindset" and consider how these constructs can powerfully influence teaching and learning. Help shape this new work with our team of educators, researchers and social innovators!